Over the last couple of weeks our neighbour has been cutting, tedding and baling our hay. 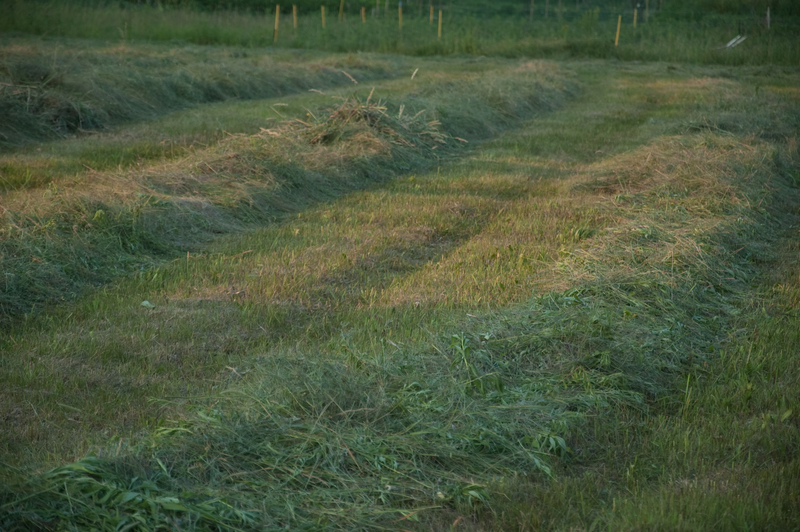 This weekend the bottom field was baled and the rest of the fields were cut. It was beautiful. 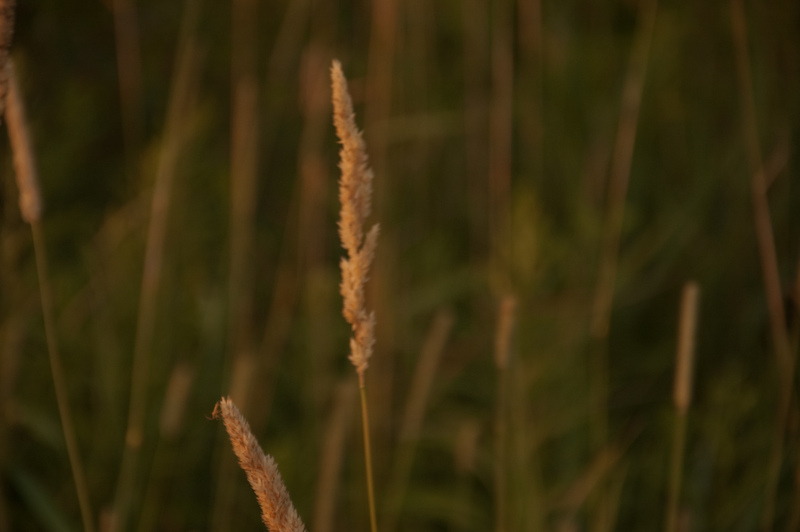 The sun began to go down, tinting everything with a soft glow, the world couldn’t have looked more harmonious. Walking our land, clear of high growth for the first time since we bought it (for the first time in many years actually), we began again to have a feeling of space around us. The horizon seemed further away making the details more pronounced. The next evening we took the boys for a good long walk across our land, we visited places we haven’t seen in a year. The boys ran themselves ragged and we all enjoyed the excitement of the new hay and the resulting openness. We let the longer shadows cool us as we drank up this new vision. As the children and dogs chased each other in and out of woods, over long rows of grass and the kinder climbed on a bale Stephen tipped for them, we soaked up the feeling of well being washing over us. We have a real crop, one that has value to us and our neighbours, that can sustain animals through winter or be sold to help build our farm up. 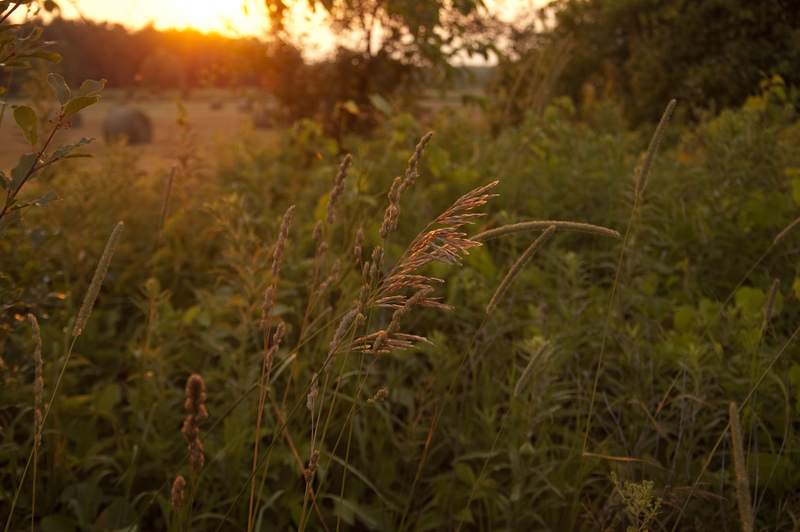 The sun dipped lower as we headed home, we talked of all the possibilities and forthcoming harvest. We talked of a future full of goodness. 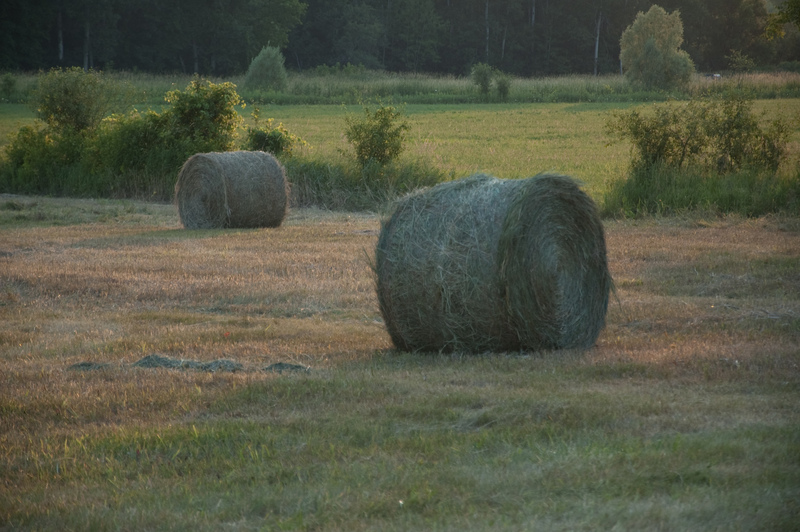 Great bales of hay. Looks good and you can now get around. It is lovely to be able to go for walks again! Thanks Trudy! This feels like a huge step forward for us, to have our own hay makes us feel like a proper farm!!! Oh my, such gorgeous photos. Congrats on the hay, and enjoy the new open space. 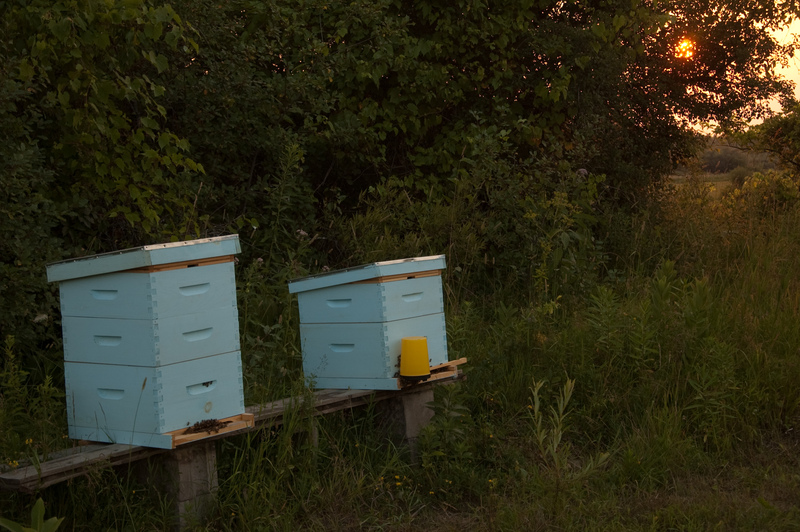 Love the color of the bee hives. 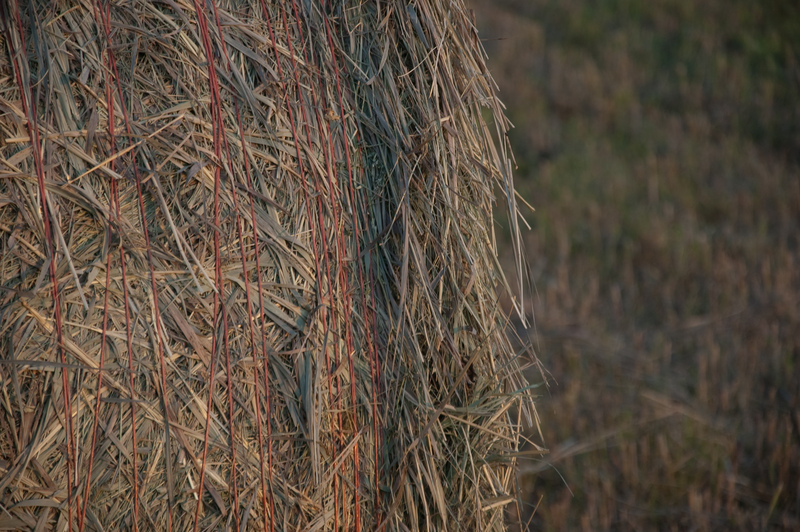 And hay, I love hay. Fresh cut the smell is divine. In February, it is a gift in the barn. Baled summer, to be hauled out to feed the hungry horses. 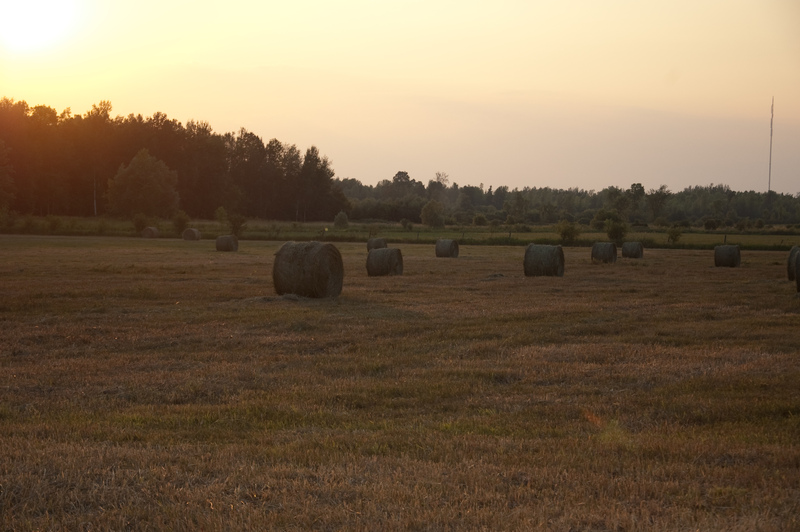 Baled summer, I adore that! The colour of the bee house is supposed to inspire a better harvest, who knows but it is worth a try!